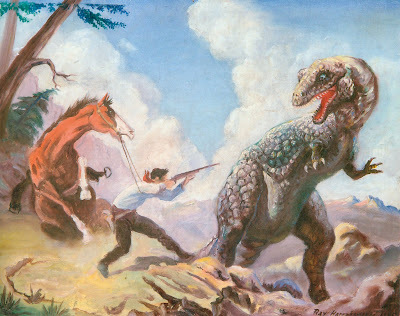 The above artworks were made for "Valley Of The Gwangi" a film that can be summed up with the description, Cowboys VS Dinosaurs. 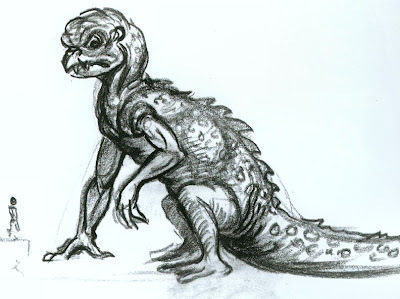 More concept art for the film can be found here. 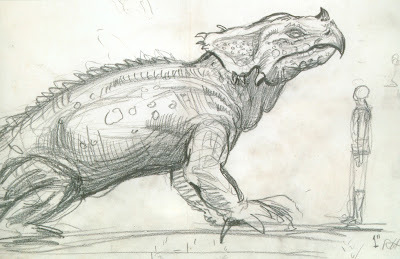 The above 2 sketches were rough ideas for what the creature in "The Beast from 20,000 Fathoms" would eventually look like. 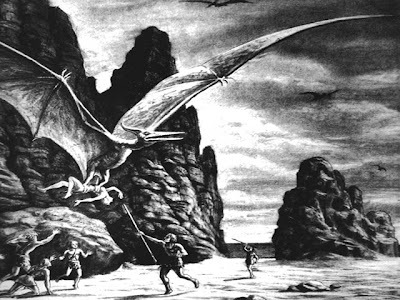 As a fan of Ray Harryhausen and Ray Bradbury I found it amusing that this film's script originally ripped off a short story by Bradbury concerning a dinosaur that seeks out a light tower for companionship. The story was later purchased before filming began and the title of the movie took on that of the short story it was inspired by. You can read more about the incident here. 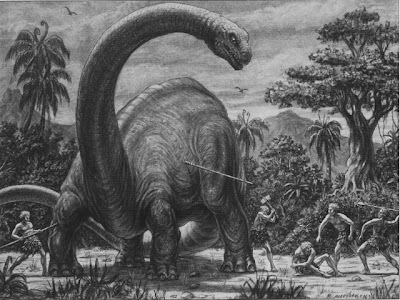 The above couple of drawings were made for the Hammer produced film "One Million Years B.C." 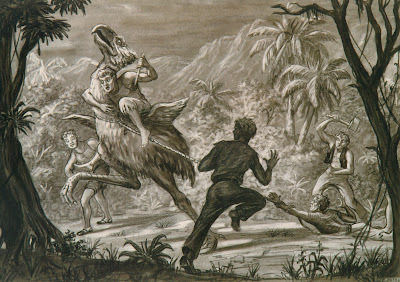 Nevermind humans weren't around during the age of dinosaurs, this was just another excuse to let Harryhausen animate lunatic beasts tormenting mankind. More artwork for the film can be seen here and here. 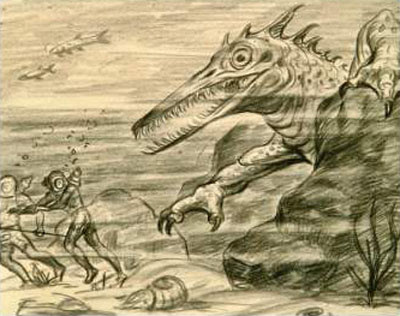 These three sketches were created for Mysterious Island. 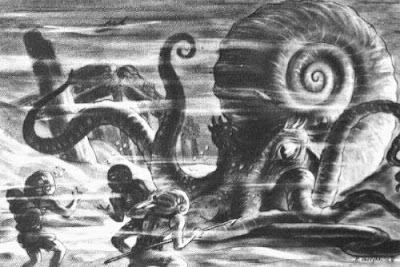 Considering most the creatures in this film were giant versions of modern day animals like bees and crabs, it felt like some weird prequel to Food of the Gods, a movie Harryhausen was originally going to have worked on but didn't. 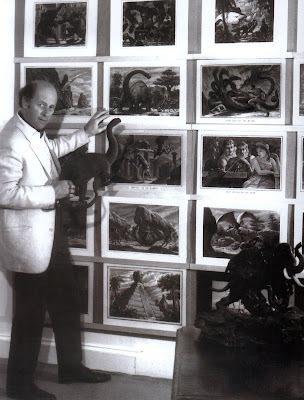 Other Dinosaur related projects from Harryhausen involve one of his earliest projects, the never completed "Evolution" a story about the beginnings of life on Earth. 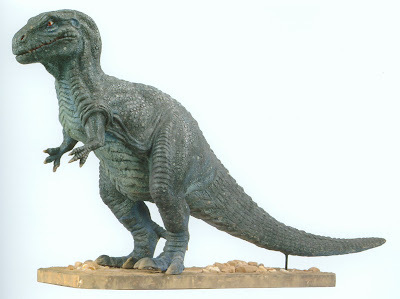 And then there is "Animal World" an impossible to find film with many stop motion animated Dinosaurs. Some examples from this can be seen here. Below is a pic of Ray holding a dinosaur model from One Million Years B.C. The stop motion dinos from THE ANIMAL WORLD may be found as stock footage in the latter half of Joan Crawford's dreadful sci-fi thriller TROG. Joan hooks up a machine to read a revived caveman's memories, and all the dino footage from THE ANIMAL WORLD is shown. Unfortunately, they sometimes superimpose other optical effects and/or the caveman's face, but one can at least see what the footage was like. Great concept pieces, Thank's for posting.